Recently Dr. Fey has also become certified as a Veterinarian Orthopedic Manipulation for small animals and equines. 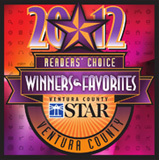 For the past year he has worked with Ventura County Sheriffs K-9 department adjusting the K-9 dogs and their handlers! What causes chiropractic problems in dogs? Joint dysfunction can be caused by a variety of factors in canines. Many dogs (especially pets) are not working in the ways that they were originally bred to work. This means that the long periods of inactivity followed by bursts of vigorous exercise can cause injuries, along with poorly fitting collars, harnesses and leads. Sports such as agility or fly ball and the occupational hazards that working dogs such as police dogs experience can also contribute to musculoskeletal issues. Welcome to the Fey Chiropractic Media Center! The health care industry is continually influenced by new research and in response to this we have created a media center where you can find tips, updates and articles that can help enrich your overall health and wellbeing.